Work for Vultr Block Storage Vultr? Learning about Vultr Block Storage Vultr? "Vultr Block Storage affordable Dependable"
Vultr allows you to easily and quickly deploy block storage from 10 to 10,000 GB! Extremely affordable and convenient. They have per hour billing which makes it easy to deploy block storage and if you need to upgrade or downgrade you can do so easily and quickly without worrying about paying for services your ar e not using. They are so popular they are sold out in most regions I would like to see more availability. Anytime you need storage wether to move files , store archives temporary or permantly vultr block storage handles each case as needed on a per hour billing that cant be beat! "Affordable Services By Vultr ease of use and good performance!" Vultr's Cloud Block Storage technology allows you to mount high performance scalable storage to your instance, making space management significantly more flexible. This storage is highly available, redundant, and SSD backed for superior performance. We Can Easily upgrade or downgrade our block storage. I live it becouse we use it in our business, Yes there is a week point of data lose but this only happen when we use it incorrectly but it is very rare chance, i found it useful. Must try atleast once with small amount if you don't take any risk by investing big amount. Just Start it with $10 or $20 if you found it useful then further take action otherwise choise is yours. I like the best is Block Storage is available 99.99% uptime and Very mych affordable at Just $1 per month per 10 GB. Must try as 1$ is not a big amount for 10 GB storage. Security backup for website and other important documents. 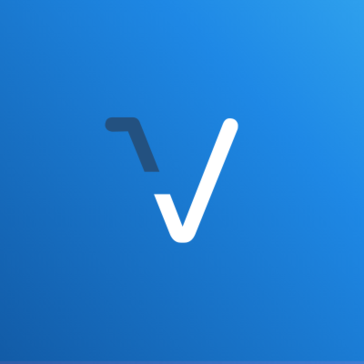 "Vultr services - ease of use and good performance!" I like how easy it is to launch a server and other various services that are offered by Vultr. I think they could improve upon their "credit" system or simply take payment at the end of the month RATHER than requiring you to load a specific amount of credit. It's a good service that's competitive. I've been able to reduce connection times to several servers using Vultr's services/API's. * We monitor all Vultr Block Storage Vultr reviews to prevent fraudulent reviews and keep review quality high. We do not post reviews by company employees or direct competitors. Validated reviews require the user to submit a screenshot of the product containing their user ID, in order to verify a user is an actual user of the product. Hi there! Are you looking to implement a solution like Vultr Block Storage Vultr?